All of us who work at this magazine put our hearts into it—and we are not getting rich off this work. We do it because we love the outdoor world and we relish the creativity and community it takes to bring this book together each month. I certainly couldn’t do it alone. I’m lucky enough to have an editorial staff who give this creature life. And since an editor’s letter is so often a big dose of narcissism, I wanted to take the opportunity to stop talking about me and what I think and call out some of the amazing people on our masthead. This is our “Best Of” issue, after all. Jayme Moye showed up at our office (at the time, the rental house of publisher Meredith DeMaso) on Spruce Street in Boulder and told me simply that she wanted to be my intern—for free. Who can refuse an offer like that? Jayme was leaving her job in the high tech industry and wanted to do what we were doing. That gamble sure paid off—Jayme has gone on to be one of the most prolific outdoor/adventure and food writers I have ever seen. Now, she is the managing editor of this magazine—hounding writers (and most often me) to get everything in on time as well as editing Quick Hits and writing award-winning stories such as her piece on expansion at Breckenridge Resort. She works hard and it has paid off with assignments from Men’s Journal and Outside as well. Beyond that she has put her energies into promoting worthy advocacy projects including empowering women through Mountain2Mountain (mountain2mountain.org) and helping Haiti promote its developing singletrack and mountain bike racing. Senior editor Chris Kassar first came to us as the writer of a piece on Rios Libres, a group working to stop dams that will destroy Chilean Patagonia. 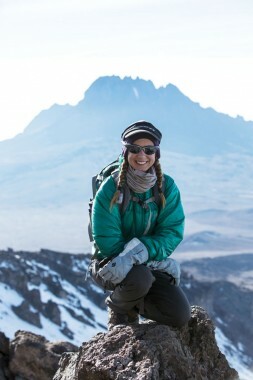 She founded Rios Libres at a kitchen table in Flagstaff, Arizona, along with photographer James Q. Martin before enlisting Patagonia ambassador Timmy O’Neil and author Craig Childs to put their weight behind the project. I was overjoyed when Chris moved to Boulder and brought that intensity and vision to our staff (look for her piece next issue on how ski resorts are dealing with climate change). Rios Libres (rioslibres.org) has grown too, attracting the support of big sponsors like Keen Footwear and Osprey and throwing a party at the Outdoor Retailer show this summer. As someone who has slaved on environmental issues, I can’t express how impressed I am with that type of work. Senior editor Cameron Martindell is no slouch either. When he’s not fixing our technology issues, he is getting kids outdoors through the Boy Scouts and he created the EO Presents Series of Speakers at REI. He doesn’t just write about these adventures, he brings them to others, which is the whole point isn’t it? His energy is contagious. I would also like to thank our contributing editors: Aaron Bible, who copy edits for the love of it; Adam Chase, who makes me want to run more; Rob Coppolillo, whose tireless blogging gives us dirtbag authenticity; James Dziezynski, who is always out exploring and bringing back soulful essays on his travels; Sonya Looney, whose passion for bikes and being outside has grown her a legion of fans; and Chris Van Leuven, who gets me out climbing and away from this laptop. It is this community you hold in your hands. Join us.